Suitcases are for people to pack stuff in. They are not meant for cats to travel in. Ours do that, too. I never did get unpacked from our trip to Columbus. I just repacked for AZ. Everytime I had time to unpack, Red was perched on or in my suitcase, snoozing. Yes, cats & suitcases – that’s a topic all by itself. Endlessly fascinating for the furry critters. Do your cats steal stuff from suitcases too? I’ve had that happen – it was quite funny. Oh, no. They’ve never done that. Did you realize it before you left, or did you end up with something critical missing from your packing? The one in the suitcase ,looks like my cats twin . 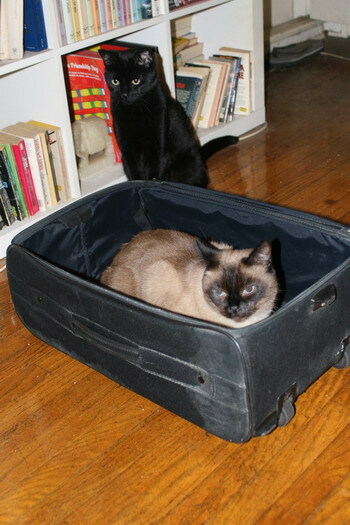 Well, the one in the suitcase is Iko-Chan, a very arrogant and aloof Siamese cat. 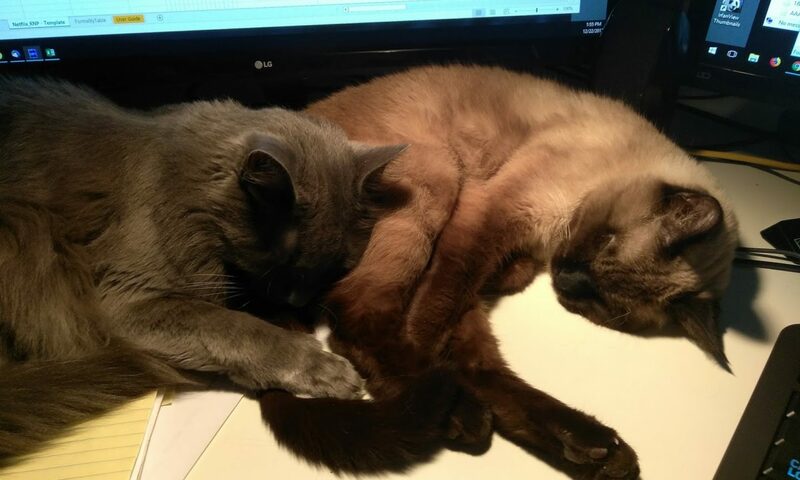 The little critter in the background is Julchen, her minion, aka “Gangsta Cat.” Those two have trained us very well to be at their beck and call.